If you are familiar with acid dyspepsia, this is another name for hyperacidity. Our stomach has acids that will aid to digestion but when the level of acid rises, there is a tendency for the stomach to be threatened, and thus, it will result to hyperacidity. 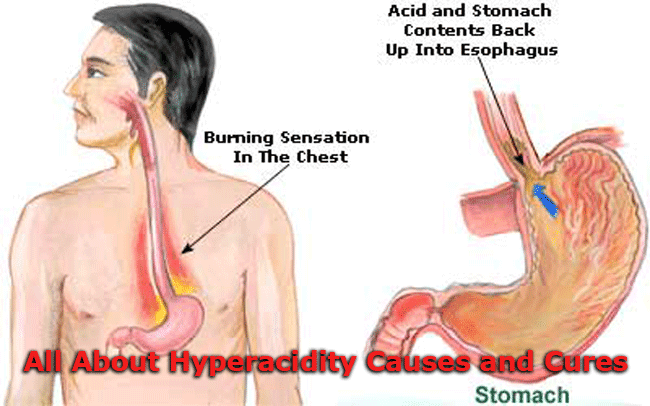 If hyperacidity is not tamed, it might result to much serious disorders. This is the reason as much as possible there should be a means to cure hyperacidity especially in its initial stage. Hyperacidity by name is caused by the increase in acid of the stomach. If this happens, the amount of acid that is needed exceeded and that is due to different factors. Some of its causes are irregular eating habits, stress, very high consumption of spicy foods, peptic ulcers, stomach cancer, and other things. These conditions characterize the existence of hyperacidity. The cure for hyperacidity is doing the otherwise. If you have high consumption on a certain thing like acid and spicy foods, you have to practice moderation. The symptoms should be identified because they will be the base for treatment. If there are symptoms of peptic ulcer, as this is somewhat severe in condition, physician should be consulted. Medication is needed in order to treat this as one of the symptoms of hyperacidity though more serious that the main condition. Cook foods well and lessen spicy foods. Acidic foods and drinks should be stopped for a while if you want to get well faster. Having a regular sleeping pattern can also help in the healing process of stomach hyperacidity. You have to remember that alcoholic drinks and cigarettes can worsen the situation. These are just simple things that you can do in order to treat hyperacidity. Above all, it is important for you to have self-discipline in order to avoid worsening your stomach’s condition.